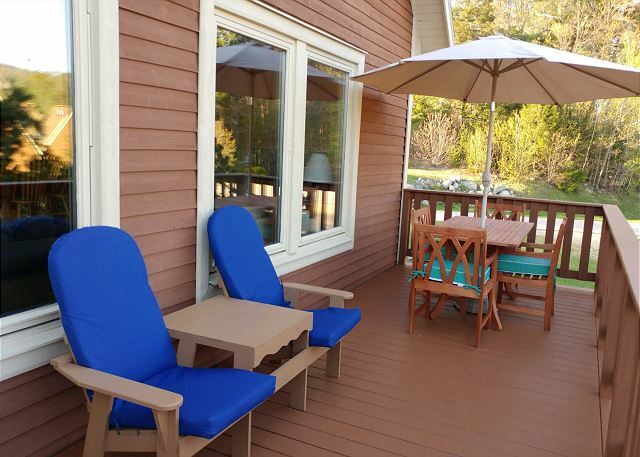 This freestanding townhouse is the perfect vacation rental! 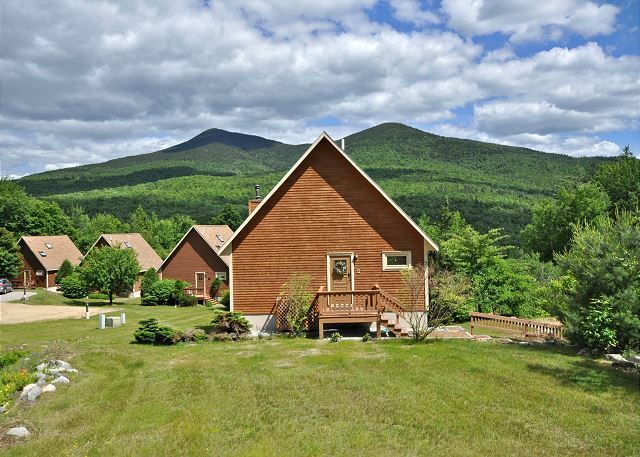 It's in a great location, has beautiful mountain views, lots of windows to see that view, newly updated kitchen, central AC, only 5 minutes to Storyland and 10 minutes to North Conway. 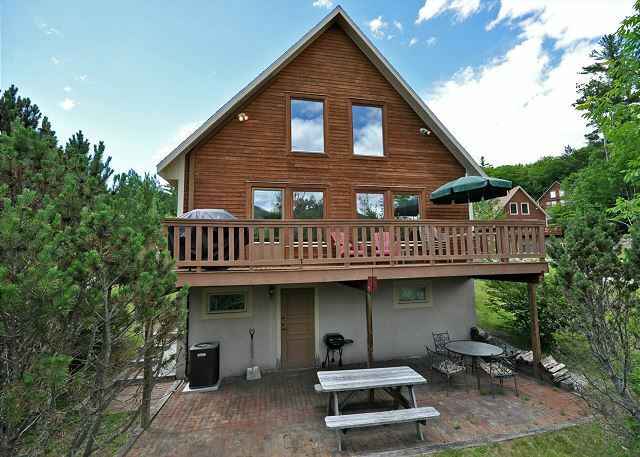 Main level: Cozy living room with gas log fireplace and mountain views, access to the deck with grill, dining area and newly updated kitchen with 6 stool breakfast bar. Upstairs: Bedroom with King bed, balcony over looking the living area, curtain to close for privacy and remodeled bathroom (Spring 2019) with walk in shower. Walk out lower level: bedroom with 1 queen bed, bedroom with 1 twin bed and twin over double bunk bed, washer and dryer, remodeled bathroom (Spring 2019) with walk in shower, tub and sauna. 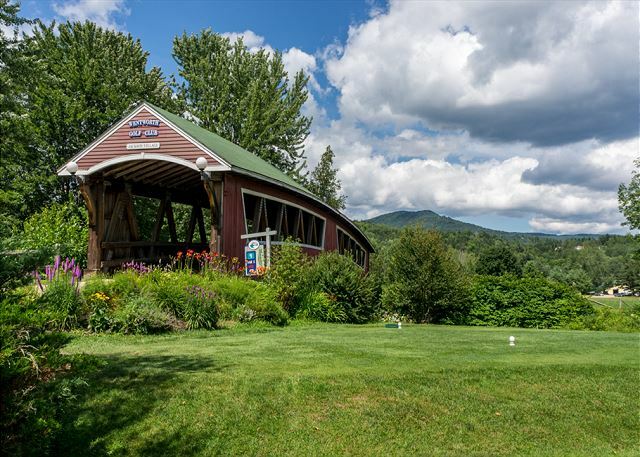 *Nearby Attractions for all seasons: Storyland (3.6 miles), North Conway Scenic Railway, Santa’s Village (44.3 miles), Tax Free Outlet Shopping, horseback riding, hiking, rock climbing, biking, river fishing, swimming, golf, canoeing/kayaking, scenic drives, Mount Washington Auto Rd, moose tours, ziplines, gondola rides, sightseeing, the scenic Kancamagus Highway, downhill skiing at one of the many nearby mountains, cross country skiing, snowmobiling, snowshoeing, tubing, ice skating and sleigh rides. Charming condo with plenty of room for 3 couples. Great location! My wife and I stayed here with our two kids and Bernese Mountain Dog. The place is absolutely amazing! 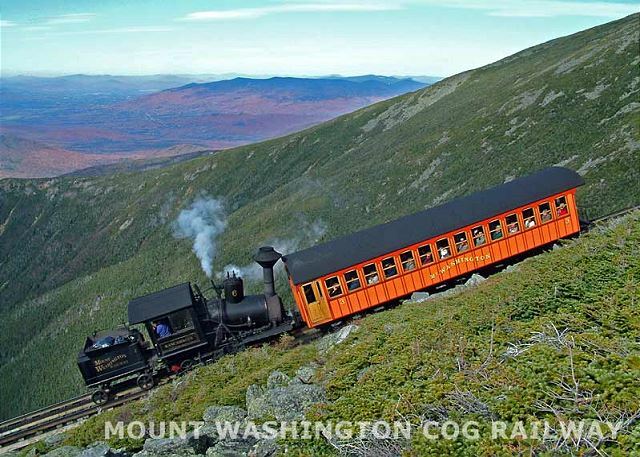 It's only about 8 minutes to North Conway and everything else. Watching the sunrise over the mountains every day was incredible. The place was very spacious. Perfect for our family... and the Sauna/Jacuzzi was a huge bonus. Our whole family absolutely loved it. We will definitely look to rent this place again... hopefully soon! No complaints. Everything was very comfortable and clean. I would definitely stay again. I recently stayed at this property with my girlfriend and her family, and we absolutely loved it! 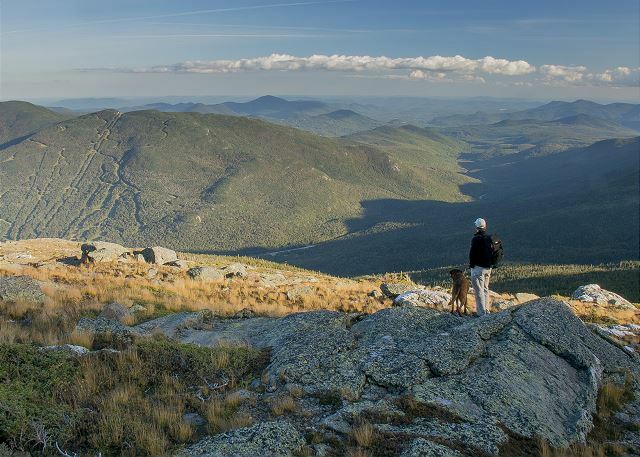 The location was perfect, only about 10 minutes from North Conway village, and it offers amazing mountain views right from the back yard. The property was very clean, spacious, and well maintained, and we were able to sleep 8 people comfortably. 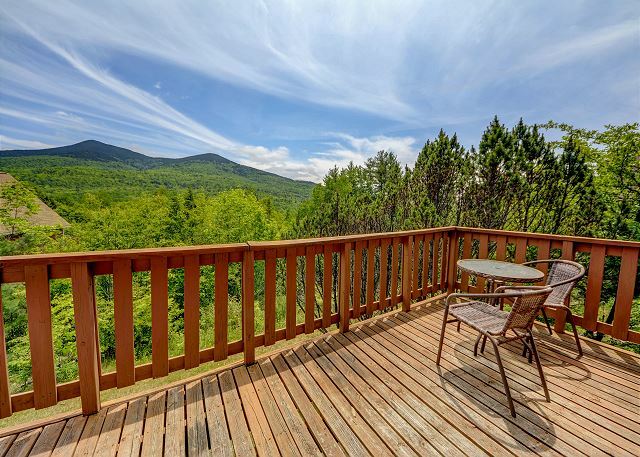 We would highly recommend this property to friends and family, and anyone looking for a mountain getaway. We hope to be able to stay here again ourselves! This house is great. Very close to shopping and skiing. We had several inches of snow overnight and in the blink of an eye our driveway was plowed and steps shoveled. Very clean and up to date. The area was very quiet and relaxing. You do have to dispose of your own trash but there is a transfer station sticker that you can you or a code to use the dumpster at the real estate office which is right in the center of town. Would definitely stay there again. Perfect for a couple with a dog. The house was very comfortable. 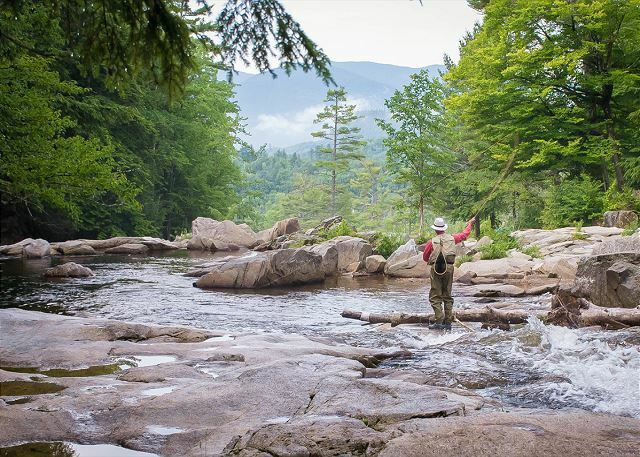 Perfect spot for a family vacation. 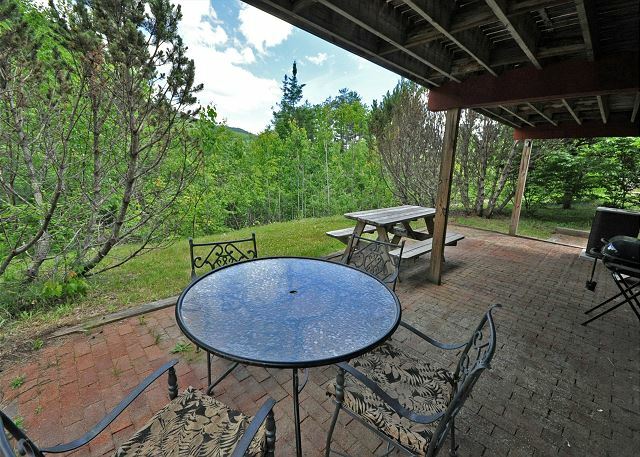 The property was clean, comfortable, and had beautiful views. Great location, and loved that it was pet-friendly. 3 guests stayed super comfortably in this place (all singles in 3 bedrooms--more could fit easily). The kitchen is incredibly well equipped and the sauna is awesome. Not to mention the views and the owner was super helpful/flexible when we made a booking mistake. I would recommend this place for sure!